This Is Just My Face: Try Not To Stare was incredibly funny. 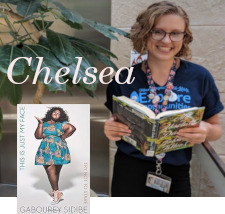 Gabourey Sidibe is so unusually honest in her memoir. She is able to tell you her life’s highlights and traumas in her extraordinarily sarcastic way. I was laughing out loud at things that I thought were maybe crossing the line at some points, but it didn’t matter—and that’s her point!